This chic, modern bed will add a sophisticated polish to your master or guest bedroom. 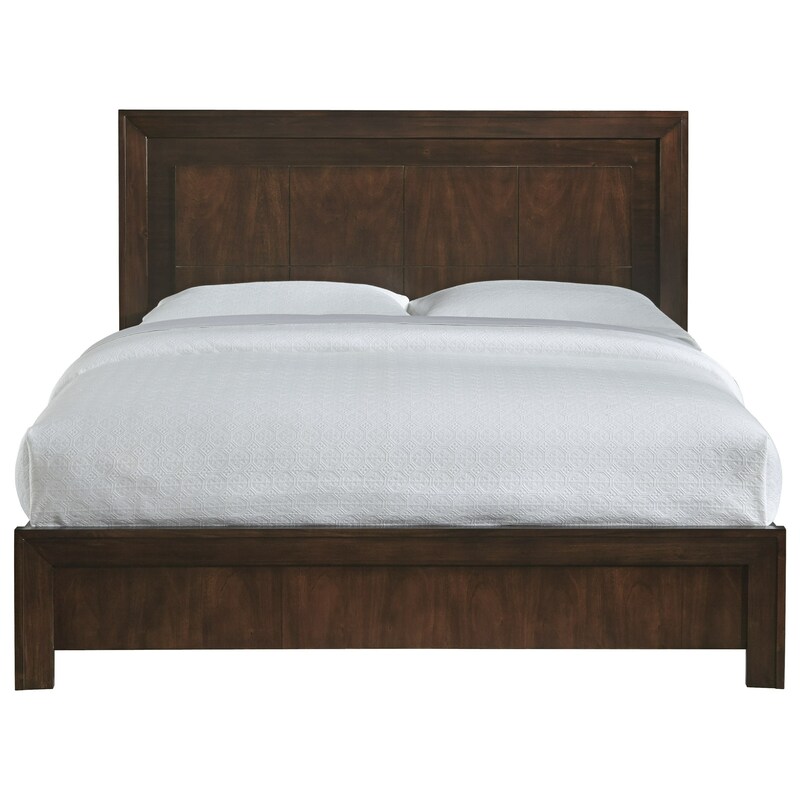 Designed with subtle contemporary design accents and bold straight lines, this bed features a paneled headboard with beveled mouldings, and thick block legs, creating a sleek, cutting-edge look. This bed is easy to install and doesn't require a box spring, making it an optimal choice for an apartment or town home. This bed is available in full, queen, king, and california king sizes. The Element Contemporary California King Platform Bed by Modus International at Michael's Furniture Warehouse in the San Fernando & Los Angeles area. Product availability may vary. Contact us for the most current availability on this product. The Element collection is a great option if you are looking for Contemporary furniture in the San Fernando & Los Angeles area. Browse other items in the Element collection from Michael's Furniture Warehouse in the San Fernando & Los Angeles area.